Is this really my life....: I love bumble bees ! 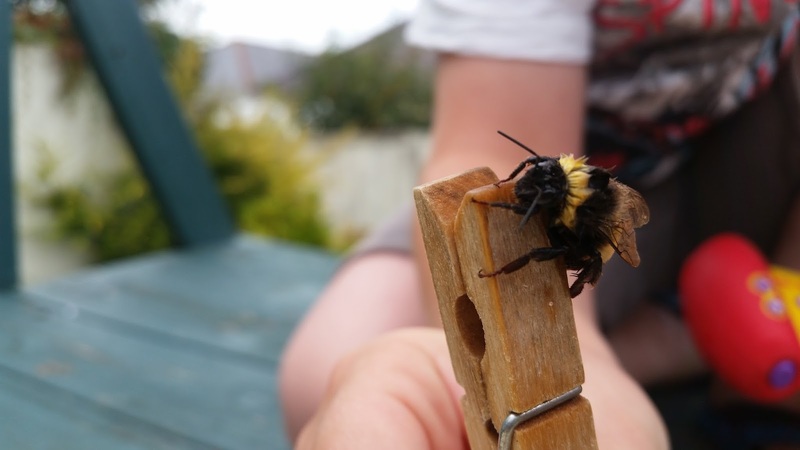 I love bumble bees ! 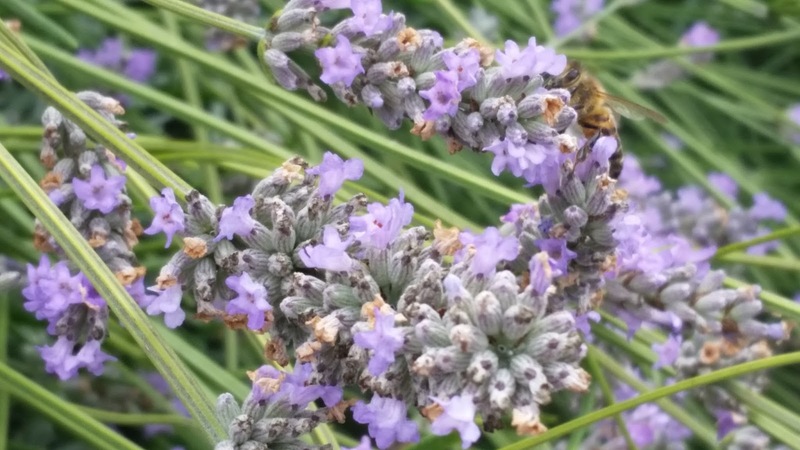 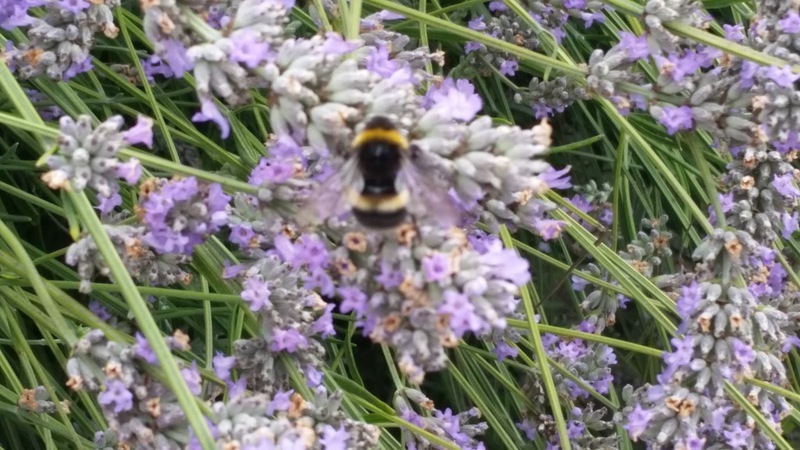 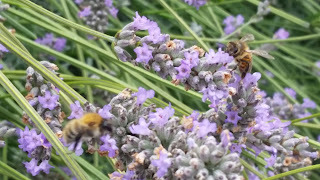 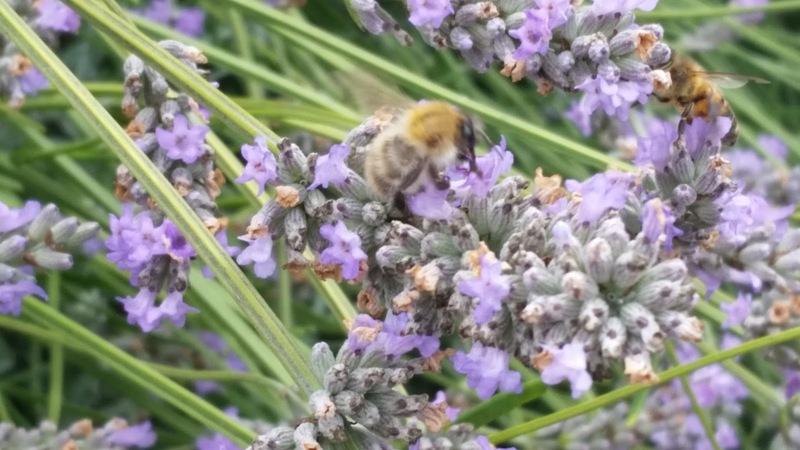 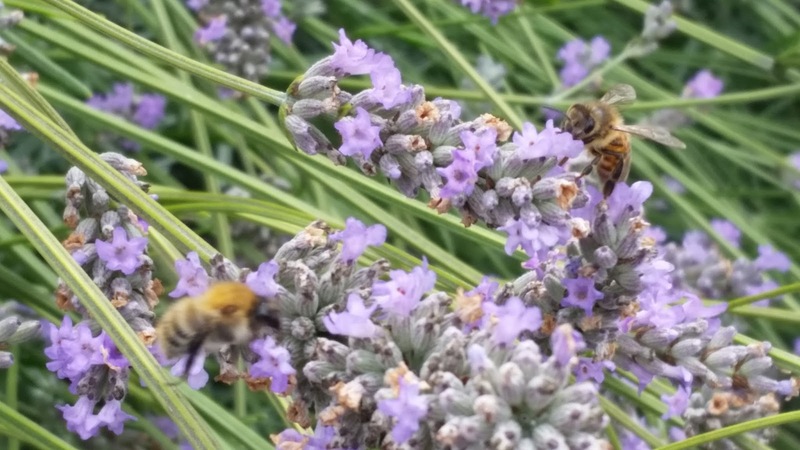 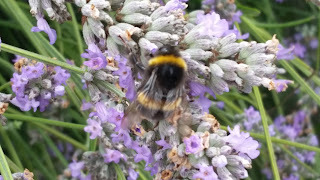 In our garden we have 8 rather large lavender bushes, that play a role in keeping the bumbles that I love so busy. I know I've posted pictures of them before so dont judge its just for a dying breed that is so necessary in our day and age ( if you don't know what they do then look it up). The happy little buzzing that I hear all day from the garden and the zipping little bodies in a rush to get somewhere and yet nowhere. 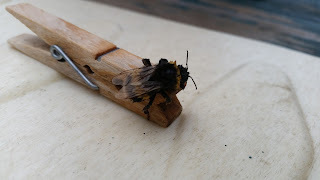 After what seemed to be forever of me trying to convince TJ that the bees will not hurt us we ended up saving one from drowning in the paddling pool. 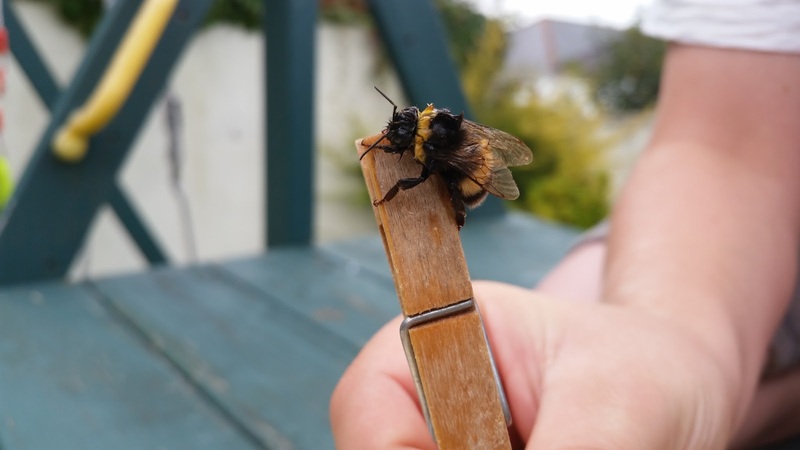 I asked him to hold it on the peg not just for pictures but to build his confidence up and help him to understand that bees are not built to hurt us,that they are just busy working their butts off to make their Queen bee happy. 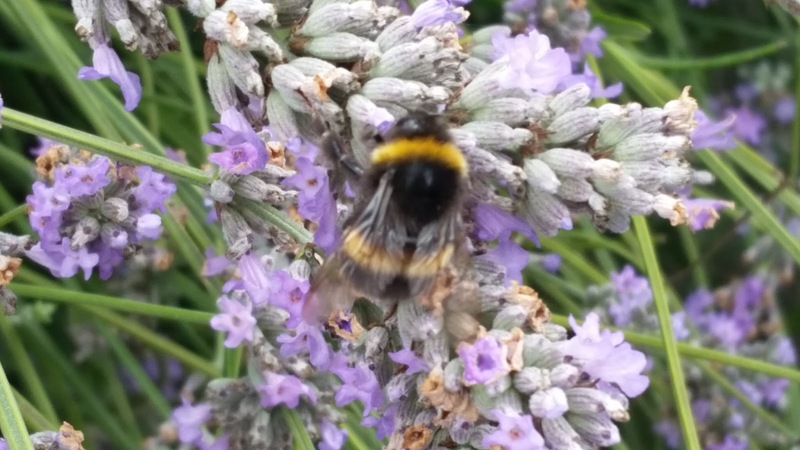 It's been a while .... I'm sorry!